Home » Reading » Let’s Connect! Today’s post is really just a request. I’d love to connect with you in as many ways as possible. If you love reading, discovering new books, and celebrating the simple pleasures of life, I think we could become good friends. The best way for us to do that is connecting through this newfangled thingamajig called the internet. If you want to connect, you can follow me in the following ways. Feel free to connect with me through all of them or just the ones that you use most. Follow me here for pretty pictures of books. I’ve challenged myself to up my instagram game this autumn, so get ready for some gorgeous new photos. Is Facebook your go-to social channel? Join me there for links to posts and random discussions about books and reading. I’m so close to 1,000 followers on Twitter. I promise to do a rad giveaway once I get there. Scroll down to the bottom of this page and click the little button that looks like this image to get all new posts in your WordPress reader. Not on WordPress? No problem! 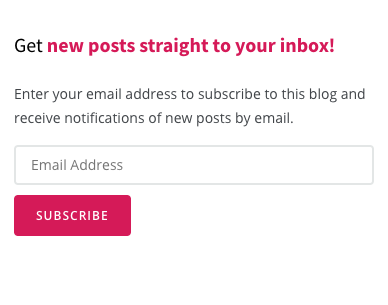 Subscribe to the blog using your email address and all new posts will automatically show up in your email inbox. Scroll down to the bottom of this page and enter your email address in the box. Then click the pretty pink button to subscribe. To be perfectly honest, my Pinterest is mainly personal, a way for me to curate boards of things I like, recipes that look tasty but that I probably will never try or plan for redecorating my house. But it does have some bookish content and who knows, my blog posts may occasionally pop up there too. Why subscribe or follow me on social media? By subscribing to the blog (via WordPress or email) you’ll never miss a post. I also share all posts on Facebook and on Twitter, and even sometimes on Instagram. 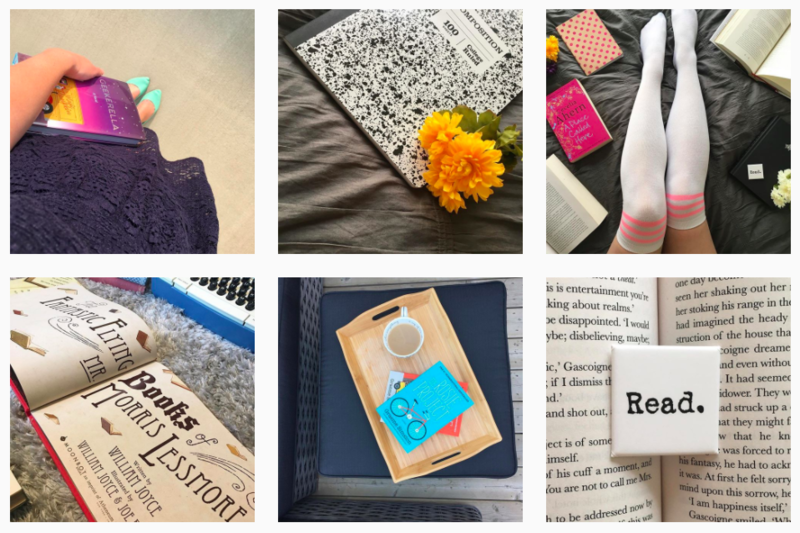 But I’ll be honest, Instagram is mainly for sharing pretty photos of books (#bookstagram). I’m hoping to expand more and share a few more photos of me and my life, so you can get to know me a little more that way. I also recently ordered a gorgeous backdrop to use for my photos, so get ready to see me up #bookstagram photos game soon.